Overview of Z-wave vs Zigbee vs Insteon. Includes similarities/differences and comparison table of which home security companies support which protocols. 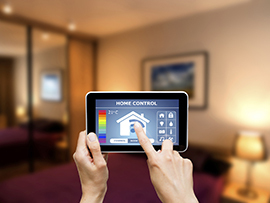 ZigBee, Z-Wave, and Insteon are the three big players in the home automation industry, each specializing in a different area. ZigBee and Z-Wave are both part of “alliances” that increase their product offerings, while Insteon works best with large networks. The downside is that none of the three works with each other, leading to issues with compatibility. We’ll explain what each language specializes in so that you can decide which one works best for your home. Insteon is a dual-mesh network, while Z-Wave and ZigBee are both single-mesh. This means that Insteon has two separate methods for sending instructions to devices, which makes it more reliable over a larger network. If you plan to implement a wide range of home automation devices in your home, Insteon makes it easier to keep the system working smoothly. A mesh network works like a digital relay race. One runner (device) takes the signal to the next runner (device) and so on until it reaches its destination. With a single-mesh network, there is only one set of runners. A dual-mesh network is like a relay race with multiple runners at each station. If one gets tired, the other takes over. Z-Wave, like ZigBee, has an alliance; the “Z-Wave Alliance” with its impressive tagline, “The Internet of Things is powered by Z-Wave.” 375 different companies have come together to produce Z-Wave products that work on the same frequency and can connect to one another seamlessly. Z-Wave operates on a single wireless mesh network and requires a central device that acts as a hub. Once you install a device via the hub, it can connect from anywhere in the home and become part of the overall network. Z-Wave also uses do-it-yourself installation, but professional installation is available via a nationwide network of partners. The cost depends on the extent of the automation and the layout of your home. The majority of customers praise Z-Wave equipment, and complaints tend to center around the fact that using Z-Wave products can quickly become expensive; the average product ranges anywhere from $40 to $100. Z-Wave is one of the most widely compatible languages for use with home security systems. It works with many of our top-ranked companies, including Frontpoint, LiveWatch, Link Interactive, ADT, and Protect America. If you use any of these systems for your home security, Z-Wave is a great choice for home automaton. ZigBee uses a low-power broadcast that operates on a single wireless mesh network, which means it uses each device on the network to extend the signal farther. Think of the radio in your car; if you want to listen to particular station, you tune to a specific frequency. ZigBee operates on its own frequency, and any device that is compatible with this frequency will work with ZigBee. The website has 245 products listed in the “Home automation” section, and ZigBee claims any device with the ZigBee logo is compatible, regardless of the original manufacturer. ZigBee is designed for do-it-yourself installation, though we could not find professional installation from ZigBee, you can hire third parties to install the system for you. Because ZigBee requires almost no power, battery-powered devices that use ZigBee can last for years. 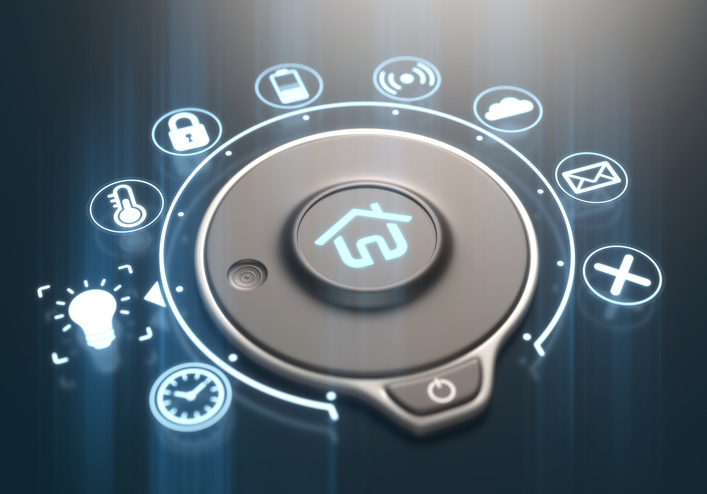 A potential drawback is the near-total lack of compatibility; not many security systems integrate with ZigBee, although some users reported “hacking” it to work with SimpliSafe. A technician from Link Interactive told us that while their most advanced panel contains a ZigBee radio, the necessary firmware has not yet been released to enable its use. ZigBee works with a number of home automation products like the Kwikset SmartCode Deadbolt (available on Amazon) and the Philips Hue Sensor. ZigBee also works with Light Link and Smart Energy products, as well as with ZigBee 3.0 products. The majority of users have mostly things to say about ZigBee, especially about how little battery power it uses. The main complaint is that the apps on the controller hubs are sometimes overly complicated and hard to control. Insteon is one of the most reliable languages on the market. It sets itself apart from ZigBee and Z-Wave for one important reason: dual-mesh network capabilities. This means that, in addition to its own unique frequency, Insteon also uses the existing electrical wiring in your walls to communicate. If the radio network is interrupted for whatever reason, transmissions will automatically move to the wiring. Insteon requires a central hub that all other devices connect to, and each subsequent device becomes a repeater that strengthens the signal. All Insteon devices are backwards- and forwards-compatible with one another (which means newer and older versions work together seamlessly), but this can lead to heavy data loads and laggy responses from the system. Insteon offers more than 200 products, including the Insteon 8-Watt LED Bulb (available on Amazon). At $22, it’s one of the cheapest smart bulbs we’ve seen so far. Although the overall product count may be lower than ZigBee or Z-Wave, Insteon produces its own devices, something neither Z-Wave nor ZigBee does. The customer support from Insteon leaves something to be desired. The number-one complaint in reviews of Insteon were related to support calls that failed to resolve the issue. If you have a variety of old and new equipment, Insteon is the best choice for you. Because the system is designed to work with all iterations of its products, you can significantly reduce the cost of home automation. Of our top home security systems, many work with one or more of the protocols; SimpliSafe is the only one without home automation compatibility. Z-Wave is by far the most commonly used protocol, although Link Interactive may introduce ZigBee support in the near future. What language works best for you? Z-Wave and ZigBee are both single-mesh networks and offer a large amount of customization. The fact that both companies are part of groups of companies that work to produce wide varieties of home automation products is an added benefit. Z-Wave has an edge on a lot of other companies due to how easy it makes installation, while ZigBee uses less power and is slightly trickier to set up. Insteon’s dual-mesh network makes it a great choice for customers who want better reliability or has a lot of devices to connect. Because of the built-in redundancy of the dual-mesh, even if one connection fails, the other will pick up the slack. Do you have experience with Z-Wave, ZigBee, or Insteon? Drop us a line in the comments below!